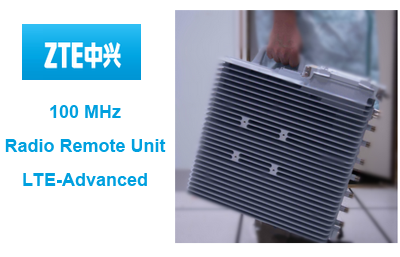 ZTE unveiled its ultra-wideband remote radio unit (RRU) for LTE-Advanced. ZTE said the platform is the first base station device globally that complies with the LTE-Advanced requirements for over 100MHz operating bandwidth. The ZTE ZXSDR R8978 offers a TD-LTE eight-channel RF module that supports 100MHz bandwidth. It can operate in the entire Band 41 frequency of 190MHz. It supports a maximum of 5 X 20MHz signal bandwidth. In China, the entire 190MHz spectrum of 2500-2690MHz has been allocated for TDD. To meet operators' future requirements for ultra-wideband RRUs, ZTE developed the ZXSDR R8978 by using low consumption and broadband RF technologies. It supports up to five carrier frequencies. ZTE's design uses advanced amplifier technologies including Crest Factor Reduction (CFR), Digital Pre-Distortion (DPD), Doherty, amplifier voltage adjustment, and time slot–based intelligent electricity conservation. The RRU uses noiseless natural heat dissipation. ZTE estimates this design and can achieve a 35% reduction in power consumption compared with RRUs that use traditional air-conditioner heat dissipation, lowering electricity costs. 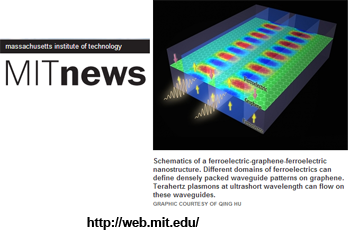 Researchers at MIT have developed a prototype device uses graphene sandwiched between two layers of a ferroelectric material to make simple, switchable plasmonic waveguides. Light can be confined in these waveguides down to one part in a few hundreds of the free-space wavelength, representing an order-of-magnitude improvement comparable waveguide systems. Practical applications could include optical interconnects and photonic integrated circuits. 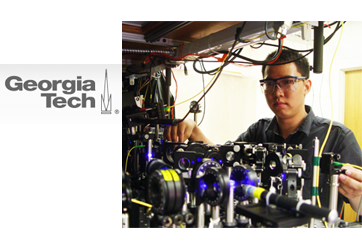 Georgia Institute of Technology reported a milestone a quantum network milestone: entangling light with an optical atomic coherence composed of interacting atoms in two different states. 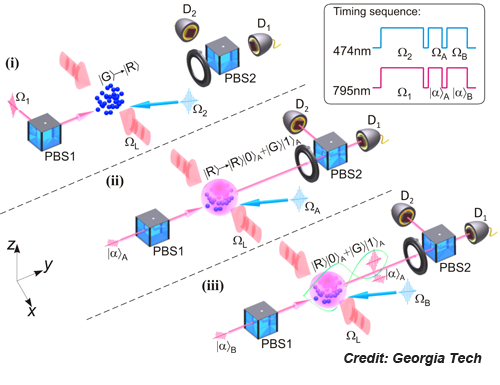 Researchers developed a state-intensive optical trap using both ground-state and highly-excited (Rydberg) rubidium atoms. This allowed the researchers to increase the rate at which they could generate photons by a factor of 100 compared to their previous work. Huawei announced its participation in the METIS project, an initiative co-funded by the European Commission as an Integrated Project under the Seventh Framework Programme for research and development (FP7). METIS, which stands for Mobile and wireless communications Enablers for the Twenty-twenty Information Society, aims to explore the foundations for 5G wireless systems. Huawei said it is playing the leading role in the Radio Link Technology stream. The company recently sponsored a METIS project meeting in Munich, which gathered together more than 140 researchers from industry, carriers and universities. Huawei expects 5G wireless networks will emerge in the market between 2020 and 2030, potentially delivering access speeds of up to 10G. "There are a lot of innovations that need to be created and a lot of technology challenges need to be overcome to create 5G solutions. 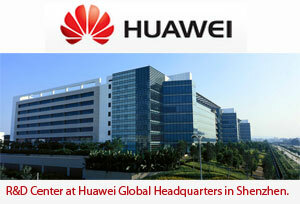 At Huawei, our researchers are studying the new radio link technologies and new radio access network architecture. We are also working on prototyping and have conducted field trials on cloud-based radio access networks (so called Cloud-RAN). We are playing a leading role in 5G wireless technology development," stated Dr. Wen Tong, Huawei Fellow and the head of Huawei Communications Technologies Labs. Technology (SE), Deutsche Telekom (DE), DOCOMO (DE, JP), Elektrobit (FI), France Telecom-Orange (FR), FraunhoferGesellschaft (DE), Huawei Technologies GmbH (DE), KTH-Royal Institute of Technology (SE), National and Kapodistrian University of Athens (GR), Nokia Corporation (FI), Nokia Siemens Networks (DE, FI, PL), University of Oulu (FI), Poznan University of Technology (PL), RWTH Aachen (FI), Institut Mines-Télécom (FR), Telecom Italia (IT), Telefónica (ES), University of Bremen (DE), University of Kaiserslautern (DE), and Universitat Politècnica de València (ES). 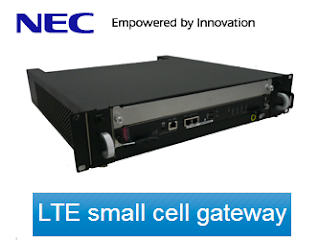 NEC announced a compact, all-in-one LTE small cell gateway that accommodates approximately 1,000 LTE small cell access points in a single unit. The new, ATCA-based gateway supports LTE small cell services by concentrating security, maintenance, user data processing and traffic control functions on one blade. Additionally, as subscribers increase, the gateway's capacity can easily be extended by increasing the number of blades. The gateway can also be connected to existing 3G small cell gateway equipment. "In recent years, telecommunications carriers have been introducing LTE, optimizing wireless capacity and promoting greater capacity in response to the rapid increase in communications from smartphones, tablets and other devices," said Katsumi Tanoue, Assistant General Manager, Mobile Radio Access Network Division, NEC Corporation. "NEC's new gateway is ideally suited for satisfying this increasing market demand." In addition to this gateway, NEC is also promoting the development and commercialization of an LTE small cell gateway that supports more than 10,000 LTE small cell access points. Zain awarded a 3-year managed services contract to Ericsson covering field operations and maintenance of Zain’s network across Saudi Arabia. 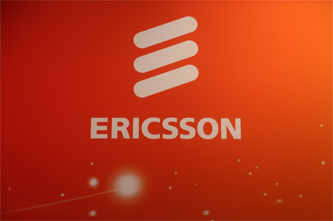 The agreement, which marks Ericsson’s first partnership with Zain in Saudi Arabia, will support Zain to allocate newly available resources toward initiatives that better serve end-users, such as strategy, development and research. Financial terms were not disclosed. Rolled out this quarter, Ericsson services include day-to-day operations and maintenance of Zain KSA active and passive infrastructure, providing corrective and preventive maintenance services across the Kingdom of Saudi Arabia. Huawei introduced a User Connection Boost solution for UMTS HSPA+ that doubles the number of user connections in a single UMTS cell. The first commercial deployments are in Portugal and Canada. User Connection Boost enhances bearer and radio resource sharing efficiency to greatly enhance number of simultaneously connected users. It also extends user terminal battery life, all without affecting user experience. To do so, the solution utilizes software-deployable algorithms for CPC (Continuous Packet Connectivity), E-FACH (Enhanced Forward Access Channel) and E-RACH (Enhanced Random Access Channel). 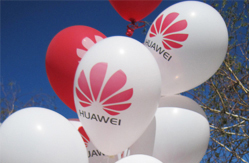 Huawei said UMTS HSPA+ continues to evolve by offering an increasing number of connections per cell. Improvements continue with uplink and downlink peak rate enhancements thanks to improved dual-carrier and high-order modulation technologies. By the second half of 2012, 134 operators in 70 countries completed commercial DC-HSDPA deployment and can now offer services for increasingly popular DC-HSDPA-capable terminals.